Scarborough Shoal this is one of the trending news in the internet, on how this two country want to get this Scarborough shoal. i read some of discussion in the internet that some of China citizens are accusing Filipino that abusive and evil. i don't know if this is one trick and one of the evil words to poison people that Filipino is not the right to claim the Scarborough Shoal. but then how some citizen of China said that word? we are just a simple country and a small group of island yes encase of battle between of China and Philippines we are not capable to do what China's power, we admit that we are underdog by big countries but when we are accusing something that its not our fault, you can see what Filipino able to do. According to the news, why China want to claim Scarborough Shoal because of the natural source of oil but its not really proven that there is a natural source of oil here in this area and want to build in this area to enlarge the military forces. and also why Philippines claim this because Scarborough is a part of Philippine Sovereignty and Jurisdiction. When i was Elementary i saw in the map of the Philippines that Scarborough is in the part of Philippine map, but then this issue release why China said they are the owner. According to the news, this problem want to go in the international Tribunal court and judge who's the true owner of Scarborough Shoal. China want to claim Scarborough Shoal, they said that according in early time citizens of china is the first one went fishing here and Philippines also said that we claim Scarborough Shoal because in the early time that area is under Sovereignty of the Philippines. There's a lot of evidence that Scarborough shoal is belong to the Philippines. 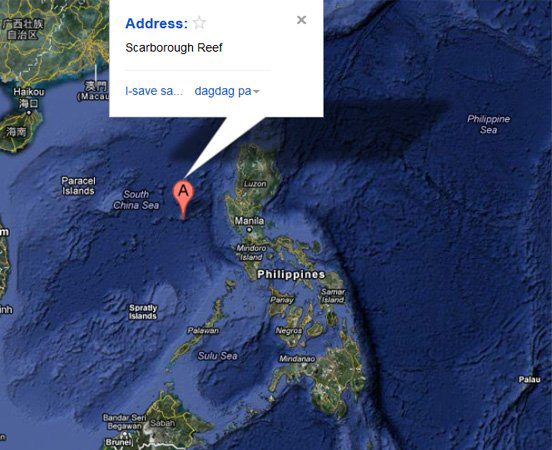 Just for example, the distance of Philippines from Scarborough is nearer than China. They must stop claiming it because it ours! that is a good comment bro. as a FIlipino we need to claim what is ours. i just want to say that if we are underdog before, but now is a new one.. I am a Bachelor of Information Technology. my dream is to hold a camera and take a photos anything awesome and brilliant in my eyes. i dream also to be married for one simple Korean Girl Hope fully :) sooooooooon.